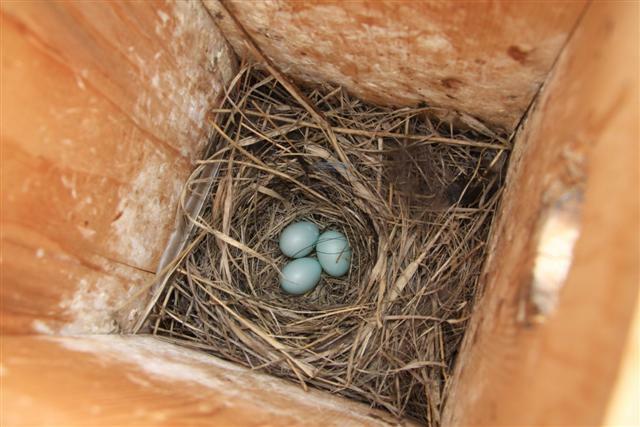 Box 3 - Mountain Bluebirds - 4 blue eggs. (1 more than yesterday). 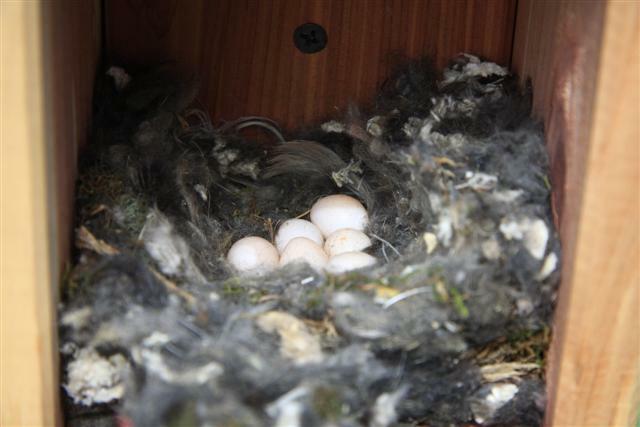 Box 5 - Mountain Chickadees - 5 white eggs. (1 more than yesterday). 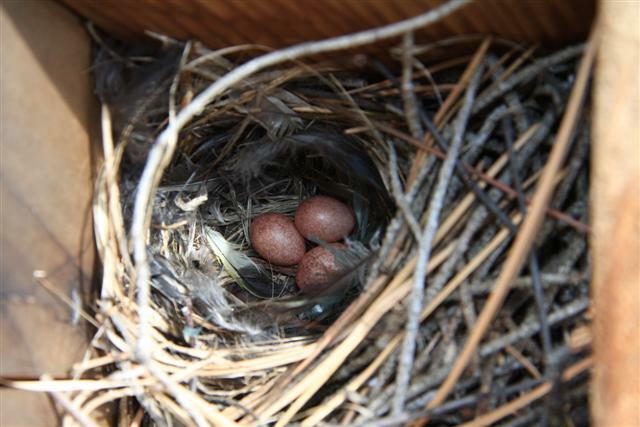 Box 6 - House wrens - 3 pink eggs. (1 more than yesterday). Box 562 - Mountain Chickadees - 6 white eggs. (1 more than yesterday). 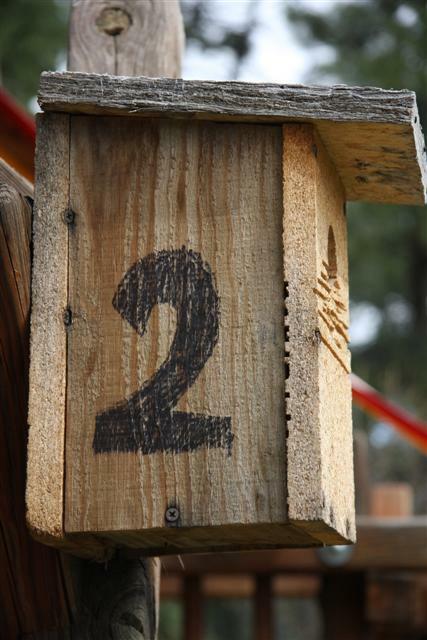 Box 7 - Tree swallows - no nest yet. Box 8 - Western Bluebirds - 3 blue eggs (1 more than yesterday). 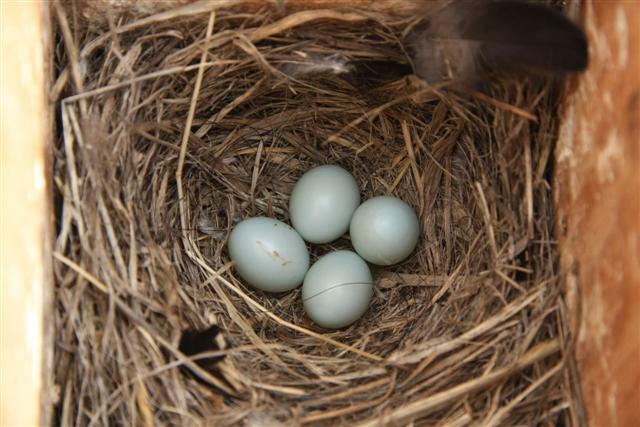 Above: Box 3 - Mountain Bluebirds - 4 blue eggs. (1 more than yesterday). 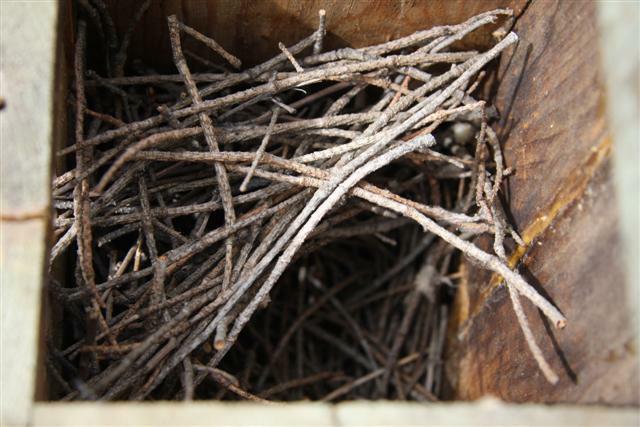 Above: Box 5 - Mountain Chickadees - 5 white eggs. (1 more than yesterday). 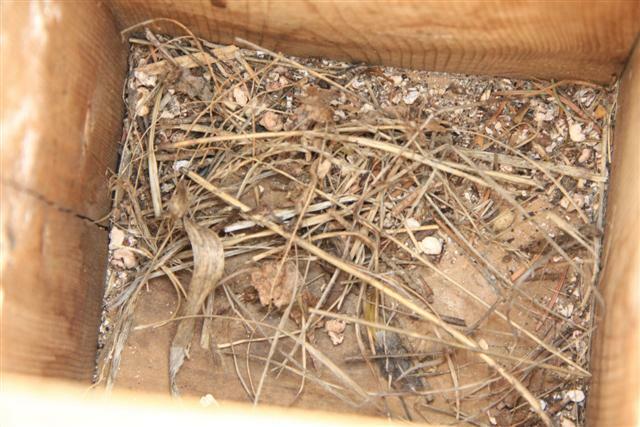 Above: Box 6 - House wrens - 3 pink eggs. (1 more than yesterday). 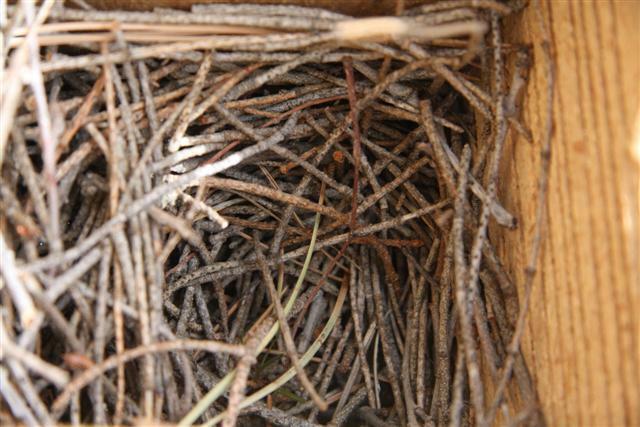 Above: Box 562 - Mountain Chickadees - 6 white eggs. (1 more than yesterday). 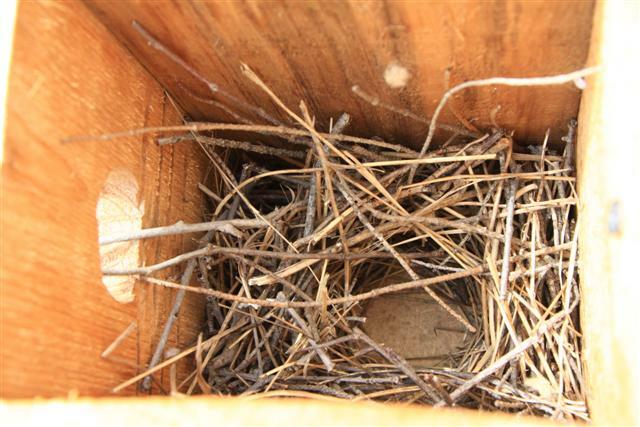 Above: Box 7 - Tree swallows - no nest yet. 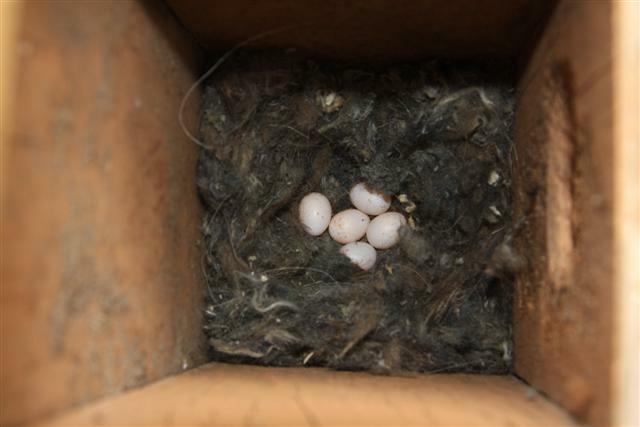 Above: Box 8 - Western Bluebirds - 3 blue eggs (1 more than yesterday).